Reed & Barton ~ Waterglobes & Carousels ~ Jungle Parade Waterglobe, Price $60.00 in New York, NY from William-Wayne & Co. 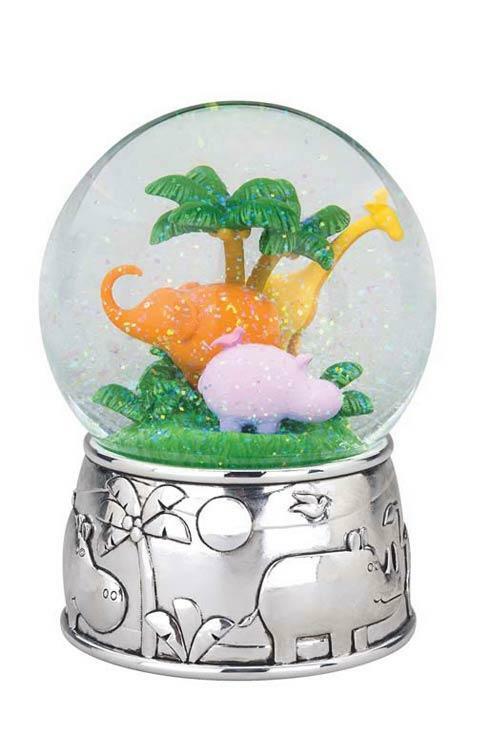 If your little explorer is fascinated with the wild creatures found in the jungles and rainforests, then they will love the Jungle Parade Waterglobe from Reed & Barton. Featuring a wonderful jungle image of a giraffe, elephant and hippo gathered together, the silverplate base features the animals on parade. Comes elegantly gift boxed. Part of the Jungle Parade Collection.